From a guest appearance on Kenny Garrett’s Happy People to fulltime member of the Yellowjackets and guest vocalist, the journey of husband-wife duo Marcus and Jean Baylor is one of unity, togetherness and partnership. 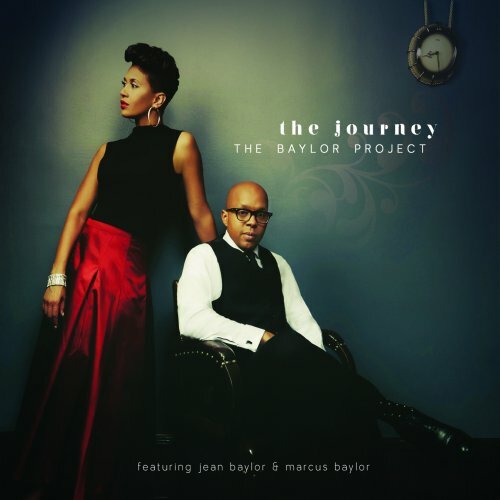 Thus The Journey (Be a Light, 2017) by The Baylor Project is aptly titled. “Block Party” is a straight jam. It opens with sermony vibe, but quickly warms into a celebration, punctuated by handclaps, Jean’s wordless chants and Hendrix. Marcus holds back until a spot about two minutes from the end. Accompanied only by the organ, he gives the kit a workout. The interlude sets up the listener for the joyous, all-in climax. 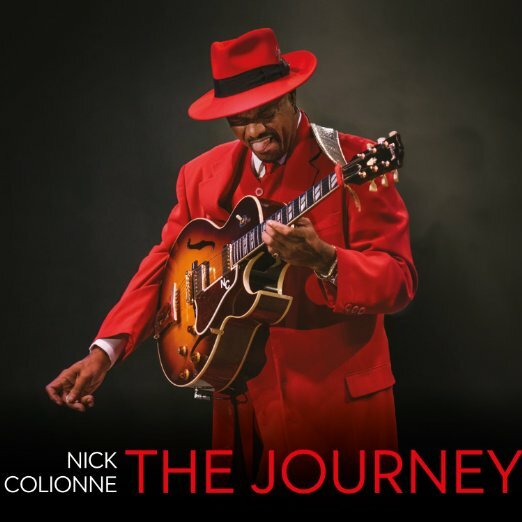 Chicago’s best dressed jazz guitarist Nick Colionne released his first albums It’s My Turn (1994), Arrival (1996) and The Seduction (1999) on the Lake Shore Jazz label followed by Just Come On In (2003), Keepin’ It Cool (2006), and No Limits (2008). Feel The Heat (2011) and Influences (2014) are released on Trippin & Rhythm. Now he is back with The Journey (2016) on the same label. Among the big names on this album are saxophonists Najee and Darren Rahn, keyboardist/producer Chris “Big Dog” Davis, keyboardists Nicholas Cole and James Lloyd. The album starts in full swing with the title song. Nick brings his Epiphone The Broadway in the forefront and raises a cool melody even with some improvisation on top. Buckle Up shines with a great horn section and outstanding sax and the rhythm is a funky addition. Nick gets from the horn players the tendency to tell a story like a vocalist and that makes his songs so full of tension. Chicago is a fountain for smooth jazz artists with big talent. Among those talents one can find a bird of paradise. Renowned jazz guitarist Nick Colionne is the best-dressed musician always clad in colorful suits. But these garments aren’t satisfying no other purpose than the enjoyment of doing it, they are Nick’s trademark signaling his musical stardom. His first albums It’s My Turn, Arrival and The Seduction were released on the Lake Shore Jazz label followed by Just Come On In (2003), Keepin’ It Cool (2006), and No Limits (2008). His album Feel The Heat (2011) and Influences (2014) were released on Trippin & Rhythm. The Journey is scheduled for release April 1, 2016 on the same label. You can pre-order the album at Amazon.com. The Journey is a collection of compositions that Rob Arthur has written over the past few years. You’ll find that each tune has a different stylistic vibe to it. Each was written during important parts of his life when he experienced joy, excitement, hardship, sadness, etc. These important times from his life have helped him understand the meaning of love more and more. The Journey is his debut album and now on sale at CDBaby. 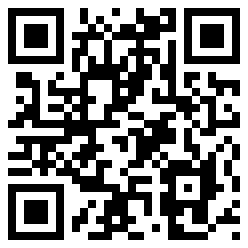 Don’t wait, take The Journey now at Amazon.com. Straight, no chaser. 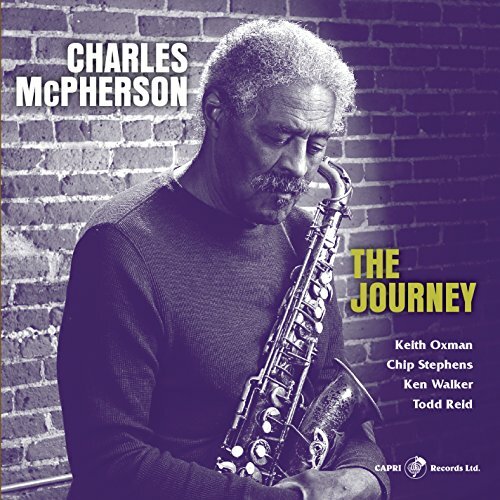 Charles McPherson goes old school with The Journey (Capri Records, 2015). Recognized as one of the last authentic practitioners of bebop sax, McPherson would make some of his pioneering brethren proud. McPherson plays the alto sax. With him are Keith Oxman, tenor sax; Chip Stephens, piano; Ken Walker, bass; and Todd Reid, drums. The sassy opener, “The Decathexis from Youth (for Cole),” features the duet of McPherson and Oxman in harmonious lead. The song begins in moderate, swing. Then it shifts into high gear as the leader takes off on a spirited jaunt. Composer Stephens stretches out in blues style. Dean Gant, known professionally as “Sir Gant,” has been recognized for decades as a top industry Producer, Arranger, Keyboardist, and Composer. Now, with expanded horizons, it’s a new dawn for Sir Gant, the solo artist. With the release of his debut project on his own label, ELEGANT MEDIAWORKS; 2011 will see him emerge as a consummate artist in his own right. Gant’s project, “The Journey” is a musical anthology that celebrates the genius he has lent to many top artists over the span of his career. The Journey is recognized as smooth jazz at Amazon.com.